The Ratchet & Clank series really went off the deep end, didn't it? 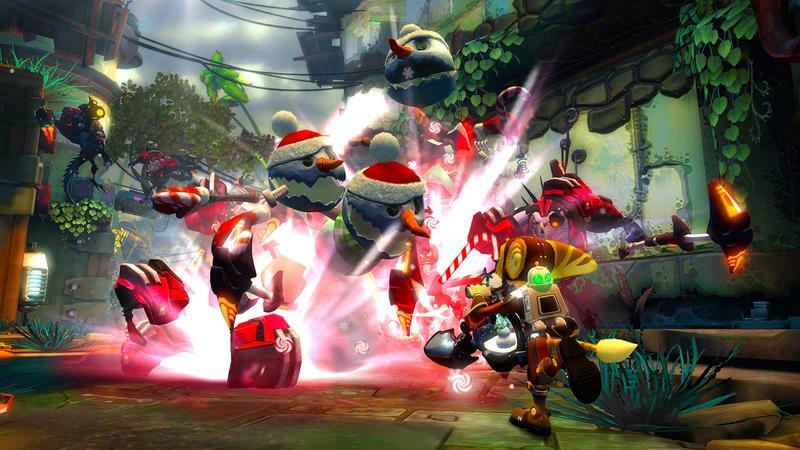 Insomniac seemed doomed to create one-offs and misadventures for the foreseeable future. All 4 One was a cooperative mess, and Full Frontal Assault was wildly off the grid for what this series is capable of. 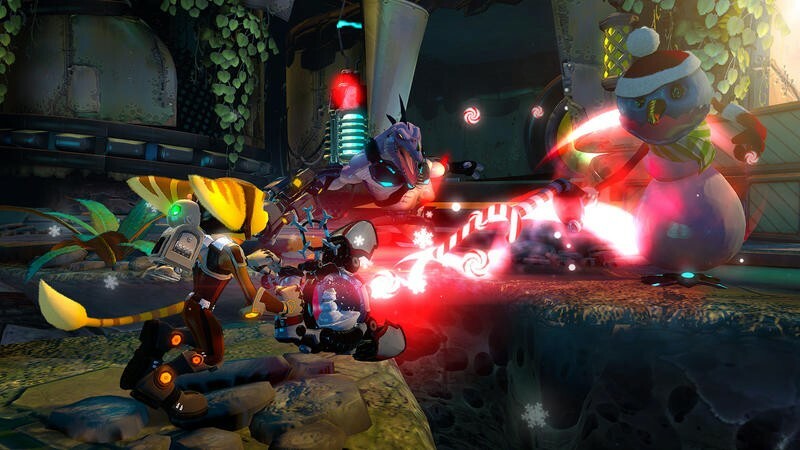 Enter Into the Nexus, the first truly mainline Ratchet & Clank effort since 2009's incredible A Crack in Time. 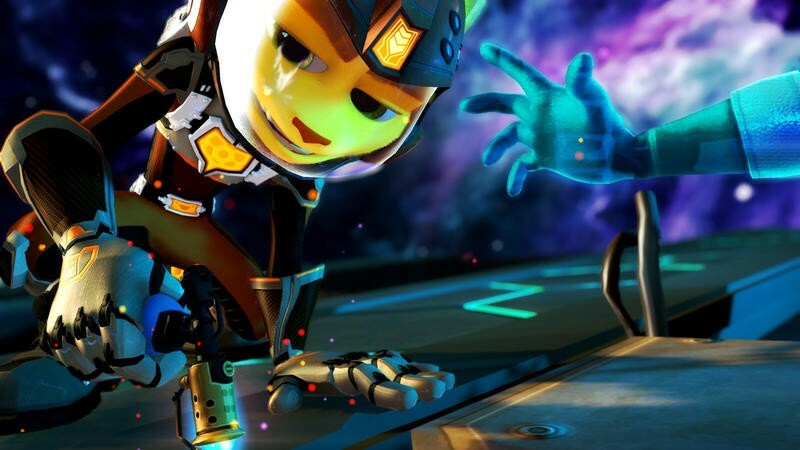 Technically part of that same Future series on the PlayStation 3, Into the Nexus marks a return to form for Insomniac, Ratchet and Clank. 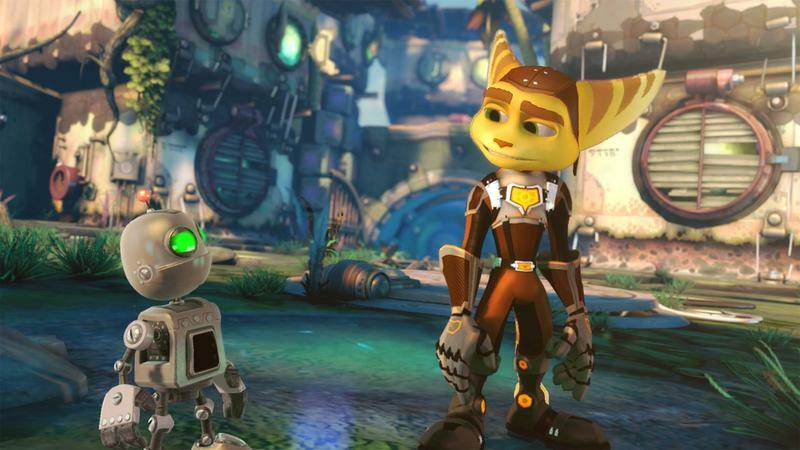 This budget title is undeniably small, feels a little flimsy and plays short; but, Ratchet & Clank: Into the Nexus is the game this franchise so desperately needed. I really can't echo this enough: I was shocked by how quickly I completed this game. Even my insatiable appetite to collect each and every object under the sun in the Ratchet universe, I beat it in certainly less than five hours. There are only five planets to explore over the course of the storyline. The story is there, certainly, but it's not as compelling as the rest of the lore in the Future series. In fact, it feels a little like a sidequest, in almost every sense of the gaming term. Less content, less difficulty, less variety. As you quest through each planet, one of which is nothing more than a gladiatorial arena, you'll be tasked with getting to certain objectives, participating in gravity based mini-games, fighting the exact same breed of enemy, collecting bolts (of course) and progressing through the short storyline. That's all there is to it. With A Crack in Time, the last entry in the Future series, there were tons of objectives aside from the main story. You could land on random tiny planets just to see if they held any secrets. There's none of that here. 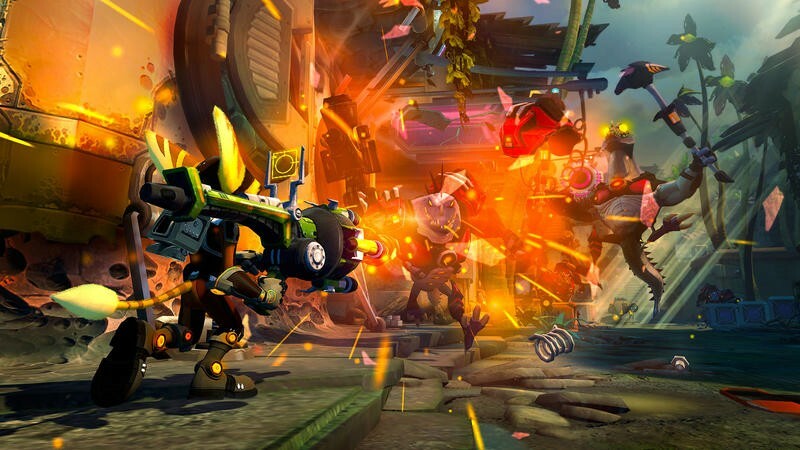 In fact, in some ways, Into the Nexus is more like the original Ratchet's than the Future ones. It's linear, straightforward and small. But a game's length doesn't necessarily impact its fun. 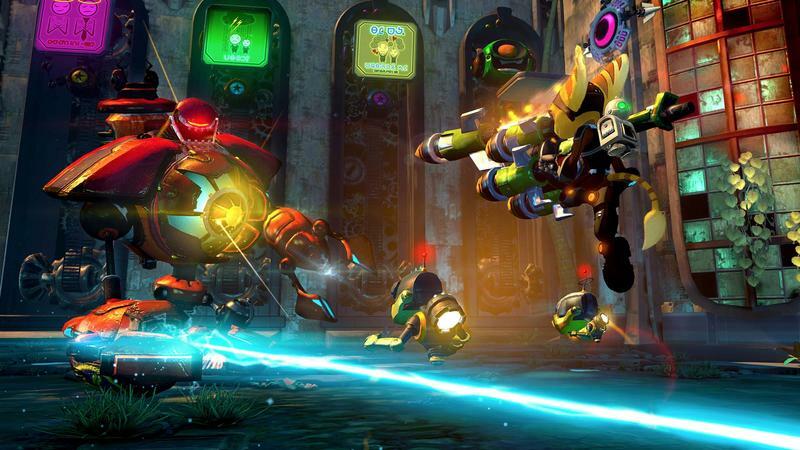 In typical Ratchet & Clank fashion, the fun of the game hinges upon the quality of the weaponry. Insomniac continues its tradition of doling out awesome guns and equipment that can be slowly upgraded over the course of the game. The highlight of which, of course, is Mr. Zurkon. Only now, Mr. Zurkon can be upgraded all the way to the Zurkon Family. You, the Mr., Jr. and the Mrs. team up to deal insane amounts of damage. Work on leveling them first, because they are incredibly valuable in combat and hilarious throughout the game. That's really where all the fun comes from in Into the Nexus. The game itself isn't particularly good or unique, but the weaponry, the progression and dealing damage to hordes of enemies is just as fun as it has always been in this series. I'm fine with hanging my hat on upgrading guns in Ratchet games. Seeing what they do next is a huge reason why I love this franchise so darn much. The characters here are weaker, the hilarity isn't as intact as it used to be, the variety and length are sorely lacking, but, the guns… the guns are great. So, the campaign is extremely short, right? The weapon selection is solid enough, the armor never really gets interesting and there are only five planets to explore. It was a few months ago that Sony and Insomniac announced that Into the Nexus would sell for only $30. Given the game's proximity to the PlayStation 4's launch date, I sort of assumed that the budget price was born out of a need to sell rather than a point of value. Nope, it's $30 because it's worth $30. The whole production feels a little lesser than each game in the Future series that came before it. Cutscenes are more tame, dialogue is a little weaker, there are moments of audio drop and music lapse that make the entire game feel a little thinner, weaker and cheaper. Of course, at $30 it's fun. This one will probably be even cheaper soon enough, thanks to the generation jump for consoles, so its value will really only increase. Were Into the Nexus a $60 title, I think I'd be stark raving mad at this point. The whole thing took me maybe five hours. And that was with healthy exploring and nearly 100% the whole thing. Yes, you'll need to search every nook and cranny of Into the Nexus in order to get your money's worth. Even at 30 bucks, this one's just a bit too shallow for its own good. 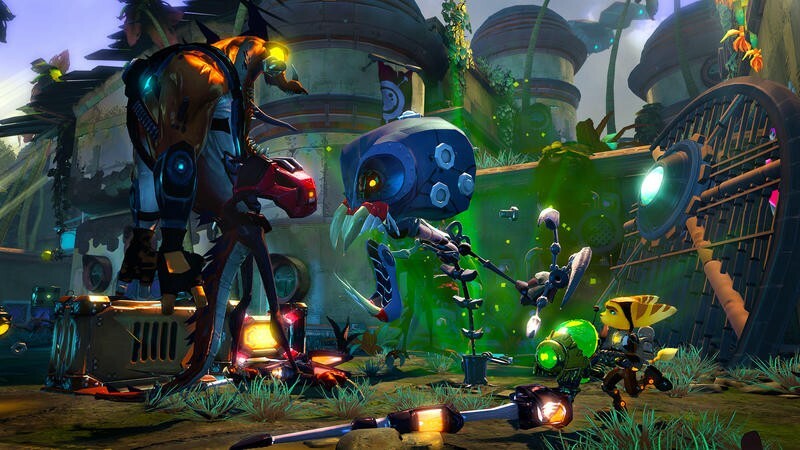 While Into the Nexus certainly isn't as strong as the rest of the games in the Future line, it's miles better than what Insomniac has been doing with this heroic duo as of late. This is a purer Ratchet game than I thought they would deliver, and for that I'm extremely pleased. But, the length of the game and feeling of cheapness keep Into the Nexus in the area of better than average instead of truly great. You'll have a lot of fun exploring the levels, blasting through enemies and, most of all, earning new guns and unlocks; but, it all feels very small and rushed compared to what Insomniac is capable of. We're on the road to recovery here. 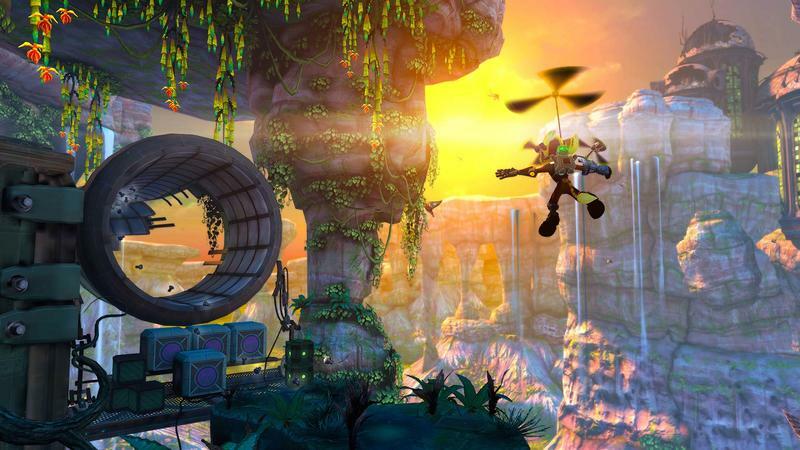 At $30, Ratchet & Clank: Into the Nexus is practically a must-buy for franchise fans. The price will dip soon, and the value will get much better. I only hope Insomniac has a chance to continue rebuilding this brand in the future. The next Ratchet, if improved as much as this one, could be amazing. 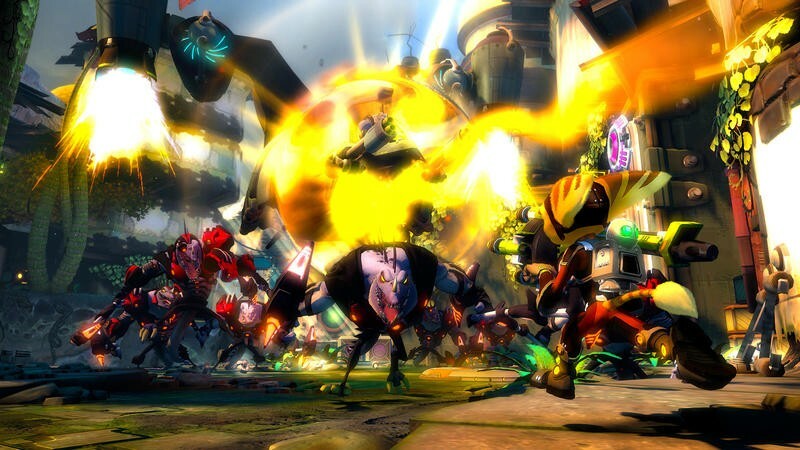 We purchased a copy of Ratchet & Clank: Into the Nexus with company funds. We completed the campaign before starting this review.